When it comes to taking cheap vacations, I’ve got a fair share of personal experience. After all, I’m a freelance writer living on a budget. While I’m thankfully not a “starving” writer, I still need to carefully budget my pennies, nickels, and dimes. I still enjoy taking vacations though, and I’ve figured out how to do it affordably thanks to a little research on penny-wise traveling and a lot of personal trial and error. Probably more of the latter than the former. Most of my cheap vacations are road trips, and virtually all of my hotel stays are at places with “Inn” in the name. Though I haven’t ever seen the inside of a Hyatt or the Fontainebleau on my own dime, I still have a lot of fun. Having fun is what really matters anyway, right? So, here are 4 of my favorite ideas for taking cheap vacations. I promise you’ll still have fun! If taking a road trip to visit an amusement park sounds like something out of a 1983 comedy movie starring a character named Clark Griswold… Well, you’re right. But unlike the Griswold family in the National Lampoon’s Vacation movie, your goal would be to take a trip to a theme park without losing your mind — or too much money. And you’ll also want to call ahead and make sure the park will be open when you arrive! Groupon discounts — I’ve seen (and used) several discounts offered by Groupon, an online discount source that frequently offers discounted (often BOGO-type) admission for amusement parks, museums, and other types of tourist attractions. To find them, just do a search in Google using the word Groupon and the place you’re thinking of visiting. You’ll see right away if there are any current Groupon deals. Military discounts — If you’re currently an active-duty member in the military, you and your immediate family members may be able to enjoy free admission to several theme parks. Some of the parks that currently offer free admission tickets to active-duty military include Busch Gardens parks in Florida and Virginia, SeaWorld parks around the United States, and LEGOLAND. Many other parks offer significant discounts, including Six Flags, Universal, King’s Island, King’s Dominion, Hersheypark, Dollywood, and Cedar Point. 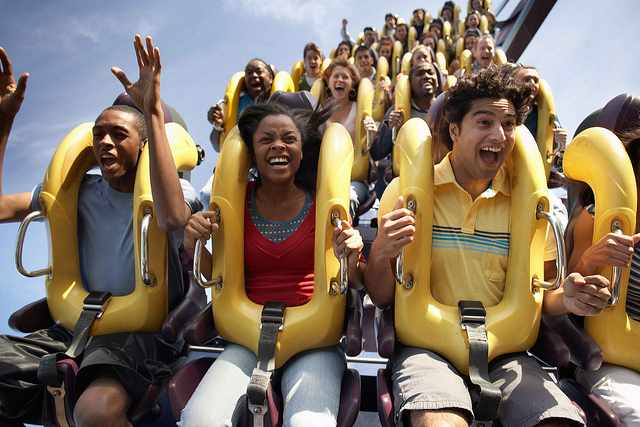 Here’s a list of some of the best amusement park military discounts. Restaurant / grocery discounts — Have you ever seen coupons for your favorite theme park on the back of a soda can, or maybe printed on your fast food bag? If not, keep your eyes peeled, because many food brands and restaurants have promotions for local and regional attractions. Local resident discounts — Did you know Florida residents sometimes can get reduced admission priced for Disney tickets? That’s just one example of a theme park that’s kind to its neighbors. Look for similar discounts at amusement parks near you. Online discounts — Sometimes, the best deals are found on an attraction’s own website. So, be sure to click around and look for multi-day combo ticket deals, promo codes, and anything else that can help you save money. How does spending a weekend enjoying nature sound to you? If pitching a tent sounds too much like “roughing it,” don’t worry — many state parks offer comfy cabins that will make a weekend at the state park feel all the more homey. Maybe you’re looking for the best deal on a stay overnight somewhere, or maybe you really do want to get up close and personal with nature. 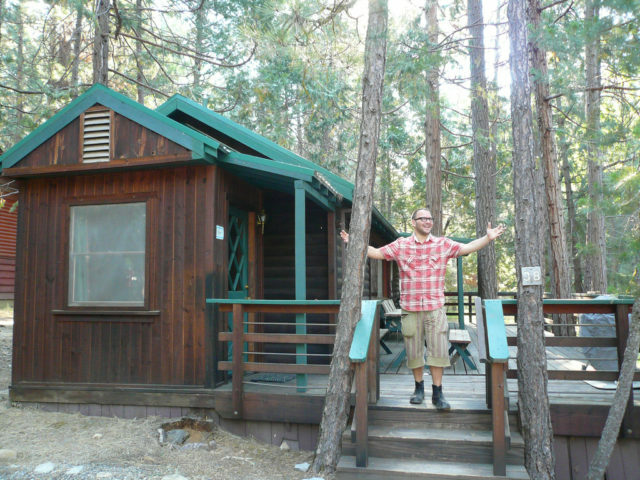 Either way, staying at a state park might be the best (and cheapest) option for you. The price to camp with your own tent at a state park generally starts around $10, while cabins go for $40 to $50 or more. But compare that with the price of a hotel room, which can run $80 or more on the cheapest nights. My credit card offers points that you can use to get “free” gas gift cards or airline tickets. Since I prefer road-tripping, I opt for the gas gift cards. These free gas gift cards help me pay for road trips and they really do save me a bundle of cash. Of course, the only way these incentives are really “free” is if you pay your credit card balance down in full each month — which I do. Otherwise, the interest you rack up on balances that roll over may be far more costly in the long run than filling up the gas tank or buying a plane ticket. Here are some of the best credit cards with fuel rewards. Mention gas gift cards the next time you’re asked what you want for birthday / holiday gifts. Sign up for gas station credit cards which have fuel bonuses. Stock up on gas gift cards when stores run promotions like 4x fuel points at Kroger. It seems almost everybody plans their trips around the summertime or the major holidays on the calendar. But if you can manage to squeeze in a vacation anytime you want, why not aim for the “less popular” times of the year? Airliners, hotels and resorts, theme parks, museums, and many other attractions usually offer lower prices during off-peak periods of the year. Knowing when the off-peak periods are will depend on where you’re planning to vacation and what you want to do while you’re there. So, be sure to hit the Internet or pick up the phone and find out more from your local travel agency about when the slowest times of year are for your vacation destination. Chances are, the travel agency can hook you up with a few extra vacation discounts, too.